Ensure your business is a step ahead. Make a SMART move - take a corporate golf break with the experts and enjoy the results. 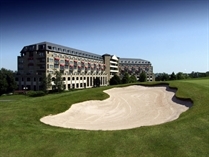 Impress your clients or staff by taking them away on a Corporate Golfing Break. With the expert service of Premier Iberian to organise and arrange the whole trip for you, you are guaranteed to reap the benefits. Make an impression by getting closer to your business partners and clients on a great golfing trip and see your business grow. We know that keeping your existing clients happy is a lot more effective than finding new ones! Taking the management team away for a few days not only clears the brain for some original thought but provides the opportunity for a great team building exercise. And we can provide you with the ‘Blue Skies'! What better way to incentivise your team, improve productivity and reward them for all their hard work than by taking them away for a well earned break. 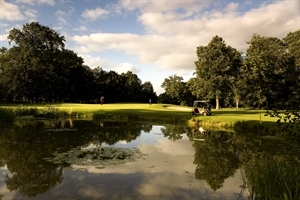 Golf is a great way to relax and for those who enjoy being pampered, superb spa facilities can be arranged. "An excellent trip - everything went exactly as planned - all arrangements were exactly as stated - flights, car rental, accommodation, golf times etc. 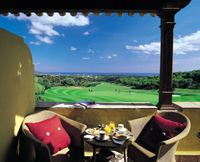 We were very impressed"
Premier Iberian have years of experience in arranging corporate golf breaks overseas. Specialists in Spain and Portugal, we will help you to arrange the perfect way in which to raise your business profile and build solid relationships with customers, partners and colleagues. Whether it's a business meeting, client entertainment or a staff reward, what better way to create the right impression. 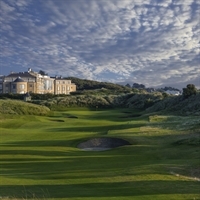 Combine work and play at a choice of some of the finest golf and Spa resorts in Europe. Submerse yourselves in an environment and climate that will create positive thinking and optimism amongst your key clients and colleagues. "Your recommended hotel was one of quality and your golf arrangements perfect"
We understand that a corporate golf break is an extension of your company image so attention to detail and delivery on quality is key. We will help you to choose the right venue for your needs and our dedicated corporate team will guarantee you the highest level of service by taking care of every element of your break. For full details on all our services, first hand advice on the right destination for you, and for a tailor-made quotation, call our Corporate Sales Department now on 01604 765131 or email corporatesales@premieriberian.com. "This is the first time I have booked a trip for 16 and your staff made it easy - whether the contact was by phone or email your replies are prompt and helpful. You are a great team - many thanks - even the weather was perfect!"